Flood? Sure. Fire? Undoubtedly. But squirrels? Oh, yes. Attacks from our furry friends can drive data centre operators nuts. A squirrel took down a Yahoo data centre in 2010 after chewing through electrical cable. In 1987, a squirrel shut down the power system feeding the National Association of Securities Dealers’ automated quotation service for 82 minutes, stopping 20 million shares from being traded. The financial system survived, but the squirrel didn’t. 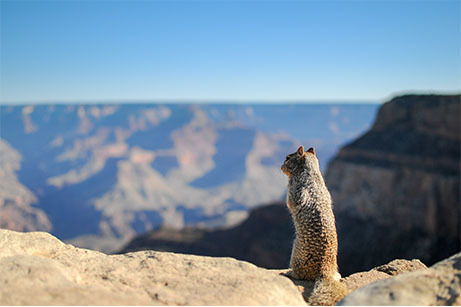 Squirrels are among the top source of US power outages. The American Public Power Association even indexes them. In 2017, over the May bank holiday weekend, British Airways was forced to ground thousands of flights after what it described as a power surge knocked its data centre offline, taking down baggage, ticketing and check-in systems. 75,000 passengers were affected. CEO Alex Cruz said: that the back-up system “did not work at that particular point in time." The cost? £100m. A Dallas/Fort Worth facility owned by data centre company Rackspace lost power to its chillers in 2007 after a trucker ran into a utility pole, knocking it into a transformer. Rackspace switched to a second utility provider to power its data centre’s chillers, but they failed to restart, causing it to take some servers offline in the rising heat. The incident took out services from SaaS provider 37Signals. A fat-fingered employee at cloud services provider Joyent simultaneously rebooted all virtual servers in its US-East-1 data centre in 2014, causing outages for users. As all the virtual servers started booting back up, the load on the system slowed everything down. It took up to an hour for everything to get up and running again. The whole incident left the company investigating how a single operator could cause an outage of that magnitude without any failsafe mechanisms kicking in. In June 2018, Microsoft's Azure suffered a service outage in northern Europe which impacted customers for at least five hours. And the cause? Microsoft's North Europe data centre is in Dublin, and the temperatures that day had soared to the heady heights of 18C... yes, just about t-shirt weather. According to Microsoft an increase in outside air temperature, meant that control systems kicked in to keep the temperatures within the ideal range. However, this lead to an unexpected increase in humidity levels that caused hardware component failures in multiple network devices and hard disks, and a lot of very frustrated customers. In 2012, the International Earth Rotation and Reference and System Service added a leap second to the Earth's time to compensate for its uneven rotation. Unfortunately, it caused the Linux kernel to lock up, throwing many computer systems into turmoil. Reddit and LinkedIn were hit, as was the Amadeus Altea system that provides booking and reservation services for many airlines. The system was disrupted for over two hours, throwing airlines including Qantas in Australia into disarray, cancelling hundreds of flights. Rather than taking any chances, investing in an up to date disaster recovery solution can help protect your precious data from furry fiends and fat fingers. If you haven't invested in proper disaster protection already, best look at it right away. After all, with random events like these, who knows what might crop up in your computer systems? To discuss more about protecting yourself against bizarre attacks why not register for Cyber Security X, Register your interest here.